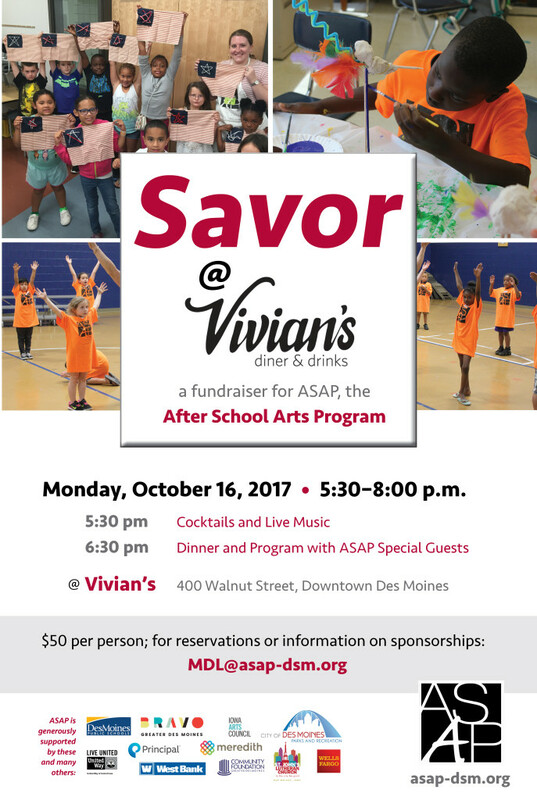 You do not want to miss this special evening. Bring friends! 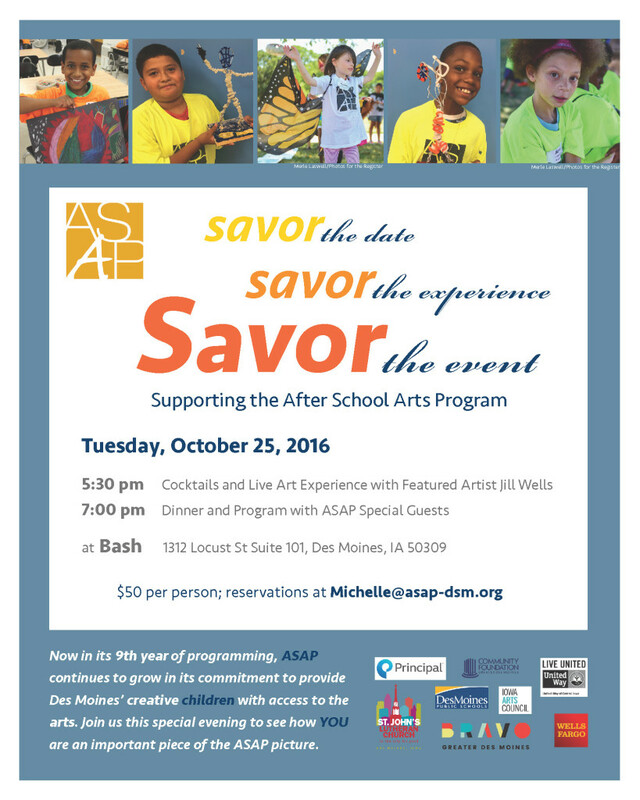 To reserve your place at Savor and/or for sponsorship opportunities, email michelle@asap-dsm.org.